Herb Alpert is a Grammy award winning musician and composer. He is also a a respected painter and sculptor. 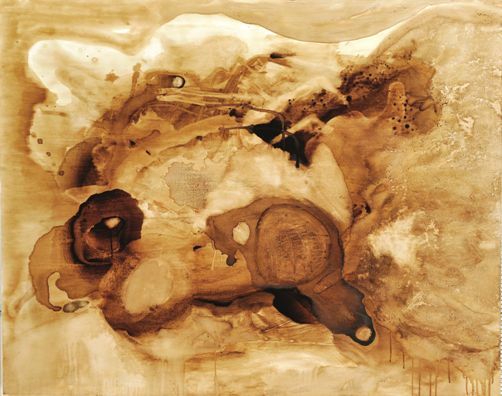 Alpert began painting in 1969 and he has experimented with a number of different styles and materials. He is currently creating paintings with organic coffee. 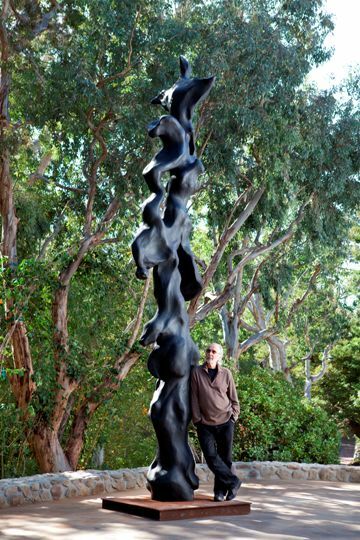 Alpert’s Black Totems series of sculptures were inspired by indigenous sculptural forms from the Pacific Northwest. They begin as hand-sized forms and are scaled up and cast as 10 to 18 foot high monoliths. “in•ter•course” is a collection of Herb Alpert’s newest paintings and sculptures. 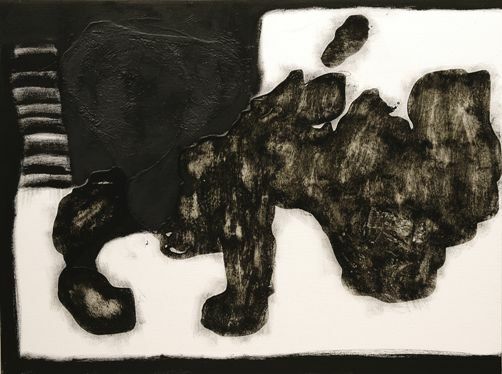 “in•ter•course” will be showing at the Robert Berman Gallery in the Bergamot Station Arts Center in Santa Monica from May 4 – June 8, 2013 (extended through June 29, 2013). There will be a reception Saturday May 4, 2013 from 6-9pm. Contact the gallery for more information. For more information about Herb Alpert and his artwork, visit: http://www.herbalpert.com/. You might also want to check out Herb Alpert: Black Totems by Philipp Scholz Ritterman. This was written by Lorrie. Posted on Friday, April 12, 2013, at 3:23 pm. Bookmark the permalink.